It’s full steam ahead for the 19-year-old wunderkind known as Little Simz as she teams up with two of the hottest new talents from both sides of the Atlantic who will be making major moves over the next 12 months. North London female rapper Little Simz and Grand Rapids, Michigan hailing Waldo both made an impact in 2013, with Simz releasing her incredible Blank Canvas mixtape via Jay Z’s Life + Times and receiving co-signs from the likes of Zane Lowe and Sylvia Rhone, 2014 is set to be a huge year for the star in the making. 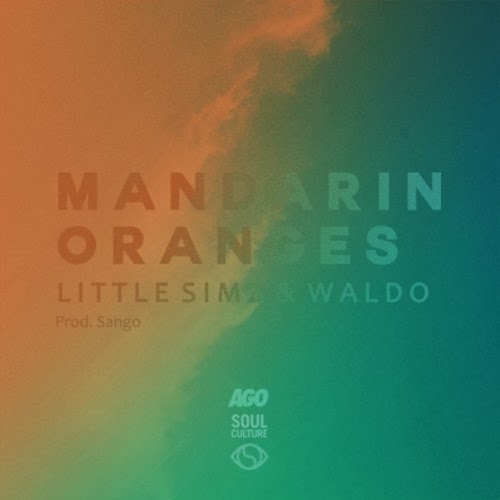 Waldo also made an impression with his reload worthy NSDE/OUTSDE project produced entirely by fast rising production wizard Sango, both lyricists combine their talents on ‘Mandarin Oranges’ delivering impeccable wordplay over a stellar soundscape provided by Sango.